Deng Xioapeng quite arguably, led China into the modern era by using public diplomacy. His famous quotes “It doesn’t matter if a cat is black or white, so long if it catches mice”; and “to be rich is glorious”; changed the way the Chinese viewed the world and transformed their society. One year after he took over China, they normalized relations with the United States. 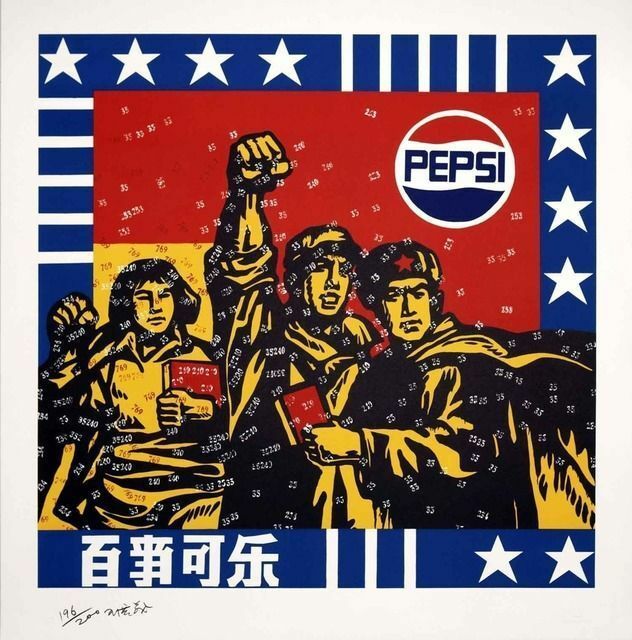 Pepsi Cola built their first factory there shortly after and China officially enter the world economy. The notion that public diplomacy is not propaganda is contrasted by every piece of evidence out there. The role of propaganda as a soft power is undeniable, and the stereotype of it being a bad thing is far removed from reality. Propaganda, by one definition, is nothing more than “the spreading of idea’s and information“; which is exactly what public diplomacy is. The role of public diplomacy and soft power in international affairs MUST be understood by all practitioners in the field of international communications. Those who are in denial of what they are doing are bound to be unskilled in the art of soft power and undoubtedly will end up as practitioners of hard power. Those in denial of the role of propaganda in public diplomacy argue that “propaganda can only be one-sided, and manipulates facts”. This is far from the truth. The truth is, that propaganda’s role in public diplomacy has only been buried because the term itself has been undermined and given a bad name. A very exemplary (and quite flawed) argument can be viewed here. Propaganda can take many sides simultaneously, and often must to maintain the legitimacy of its message. As mentioned before, propaganda is the spreading of information as soft power. It must remain unbiased to maintain it’s legitimacy. When Deng Xioapeng made his statements, he was propagating mere truths to the masses, and used the term “Chinese style socialism” to reinforce what he was saying. It was time for China to break free from it’s Moaist ideology and evolve into the modern era; and he “used the truth to set them free” so they could evolve. He wasn’t trying to undermine his nation’s system to become a flunky of another country. Three degrades later and China still maintains its culture and sovereignty. They just have a more modern way of life now. Joseph Nye, in this lecture, describes public diplomacy and soft power as using the “art of attraction” to influence changes in human behavior peacefully. He argues that this “art of seduction” totally lacks coercion, and appeals to what people think. If people think they’re being lied to would they willingly ascribe to the lies? Just one lie and America could never be trusted again, so American propaganda would have to be used as nothing but the truth. Huntington’s “Clash of the Civilizations”, according to Nye, is now more accurately described as a “clash of internal civilization” according to Nye . Nye argues that those who want to maintain power as a domestic resource would have practitioners of soft power believe that soft power is harmful to our power by undermining much about it. This could explain why people believe that using the influence of information and attraction (propaganda) is a negative thing. Nye says in this lecture that soft power is used to create an enabling environment for policy between civilizations, so that could explain why peolpe with power would wish to undermine it and scare people away from using it in all it’s glory, including the propaganda aspect of it. So what would the motivation be against using soft power and propaganda? Why would the United States choose to spend everything on hard power and next to nothing on soft power? I speculate that it has something to do with Washington culture of groupthink and neo-realist consensus to believe that Huntington’s “Clash of the Civilizations” will always ring true. I wonder if Huntington has noticed the positive changes taking place between China and the United States… The worlds two leading super powers have influenced each other to develop together in such a way that clashing would lead to mutual destruction. Ambassador Gary Locke has often said that the partnership of the United States and China is crucial to lifting the worlds populations out of poverty and into the modern era. Bill Gates has predicted that many of the symptoms of poverty will be globally cured in the coming decades. So next time when public diplomacy professionals find themselves stuck in the Washington groupthink about public diplomacy and propaganda, they should realize the underlying reason why it’s given a bad name. Indeed, many power brokers have every reason in the world to want to prevent power from being diffused amongst the global masses even if it makes the world a better place… They must fear humane power would result in America being marginalized and less exceptional. Maybe that’s not such a bad thing… How can I “have my Pepsi and drink it too”; when there are hundreds of millions of people in the world who don’t even have access to potable water?